On her critically-acclaimed LP “The Future's Void”, Erika M. Anderson (EMA) unveiled songs about surveillance, data mining, and internet privacy, all written before Snowden fled to Russia. The New York Times called her "a technological prophet in her own time." In conjunction with the cyberfeminist collective Deep Lab's residency at NEW INC during the New Museum’s IDEAS CITY festival, Anderson revisited these themes, with a decidedly lighter touch. Drawing on her experience as a substitute teacher, Anderson integrated the playful, creative space that drawing enables. Her performance "Does It Still Feel Weird If I Just Use My Hands?" investigates privacy and representation, using paper and pencil instead of cameras and computers to re-interpret surveillance through a lo-fi approach. We sat down with EMA as she was writing entirely new music and planning an immersive projection environment to inspire participants to get creative and feel comfortable drawing one another. In a climate where many of us our hesitant to have our photos taken—whether that’s because an awareness of biometric data collection by corporations, or the fear of having a photo end up in the wrong place—drawing can feel intimate, human, and more carefully considered in comparison to the often mechanized act of snapping a picture. Drawing someone "you notice things about them that you wouldn’t otherwise notice,” said EMA. 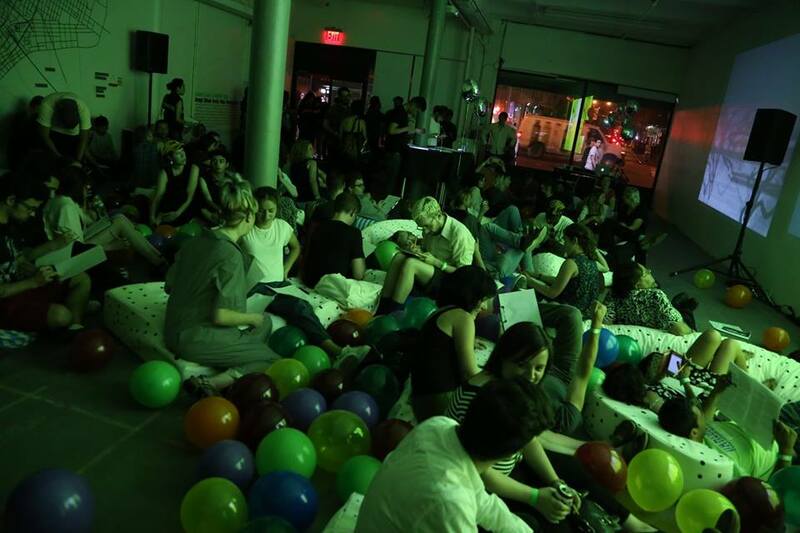 We filled the space with hundreds of balloons and a Nap Lab designed by Print All Over Me and Various Projects. Participants had a place to relax, curl up, and draw one another, or they could simply observe the observing. EMA provided the soundtrack and drew people in the crowd along with everyone else. 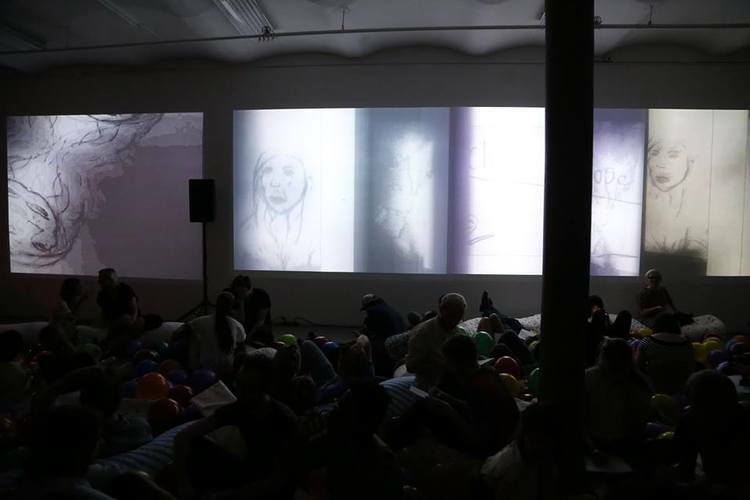 People could scan their drawings at stations around the room, which were then manipulated in real-time with the audio-visual app, Generate, and projected on the wall. “I’m excited to be able to take these risks as a part of the residency. As a musician, you’re kind of expected to make these big productions, like Beyonce. This gives me the chance to do something more experimental and intimate."